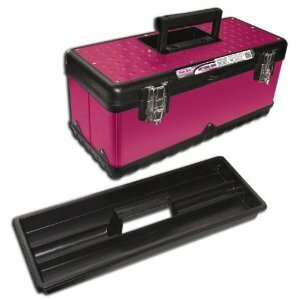 It combines the durability of steel with the light-weight portability of a plastic base. Includes a removable plastic tray to keep small items organized. Perfect for a basic tool set, tackle, makeup-up, hair accessories, jewelry, arts & crafts supplies, gardening tool, car accessories, and much more.